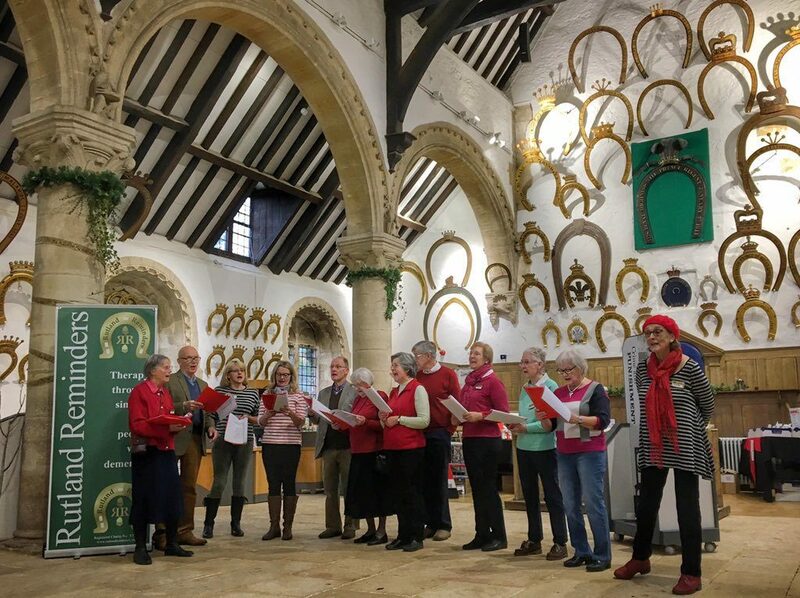 Our volunteers love an opportunity to sing, especially at Christmas time! Rutland Reminders volunteers sing at Oakham Castle. Thanks to Rutland Community Ventures for the photo. We were delighted to be invited by the Rutland Dementia Support Service to sing at the Rutland Peer Support & Activity Group at Oakham Castle last week. We have also enjoyed our Christmas Party at Brambles Social Centre in Oakham, where our guests with dementia, their carers, family and friends came together for festive fun and lots of Christmas songs and carols.